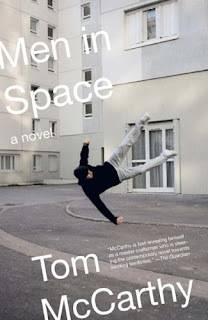 Tom McCarthy's early novel Men in Space has finally been published in the United States, and I highly recommend checking it out. McCarthy (also author of the excellent C. and Remainder) is one of the best out there--he's only a few books into his career but already reinvents himself with each new book. For some reason, Men in Space took five years to be distributed into the US. I'm afraid that the straight-to-paperback treatment Vintage is giving Men in Space might make some readers miss it. I recently reviewed the book for about.com (which can be read here)--if it sounds like something you might like, I highly recommend seeking it out. A very nice informational blog . Keep on making such important blog post. Your work is really being appreciated by some one.